Members will vote next month on whether to accept an updated version of the Westmantown roster. RANK-AND-FILE gardaí are set to be balloted over whether or not they will accept a roster change. Members of the Garda Representative Association (GRA) will vote next month on the issue. It relates to the a changed Working Time Agreement on the Westmantown roster which originally came into effect in 2012. Last December the roster was criticised in the Garda Inspectorate report, which found that it was inefficient and put too many officers on duty at times when they weren’t needed. The roster also involved gardaí work six consecutive 10 hour days followed by four days off. This was found to not necessarily be the best schedule for all gardaí, with the four-day break impacting negatively on investigative work. Now, a revised version of this roster has been approved by the GRA Central Executive Committee. The Working Time Agreement secures existing and provides further entitlements and protections for our membership. The proposed Working Time Agreement, which includes the revised Westmanstown roster, has been endorsed by GRA Central Executive Committee with a recommendation to the membership that it be approved by them. A review of pay and conditions for all rank-and-file gardaí is currently ongoing as part of a review of the Haddington Road Agreement. Email “Rank-and-file gardaí to be balloted on updated roster”. 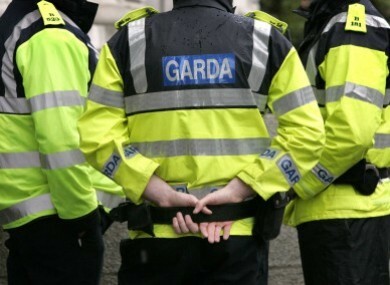 Feedback on “Rank-and-file gardaí to be balloted on updated roster”.